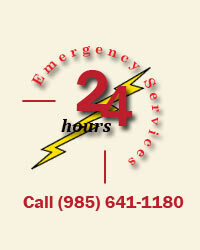 Leger Electric is a full-service electrical contractor for residential, commercial and industrial customers. Our certified electricians have the training, tools and experience to handle a complete range of services. Our capabilities range from installing high-voltage factory equipment to rewiring low-voltage home alarm systems. 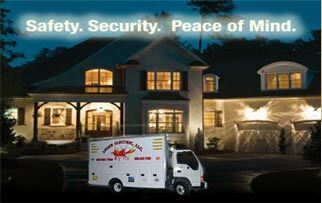 Call now and discover how adding security lighting can make your home safe for you and your family. Our professional staff will work with you to recommend the best products to add safety, beauty, comfort and value to your home! JUST THINK OF THE POSSIBILITIES!! !